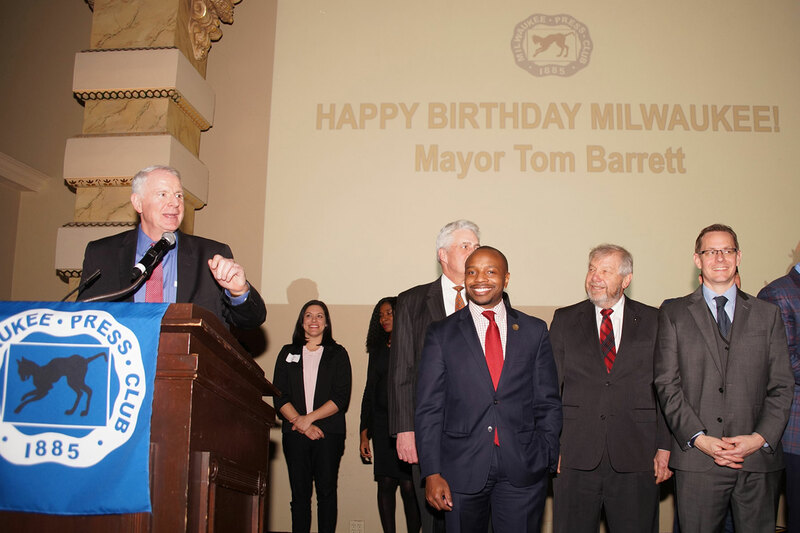 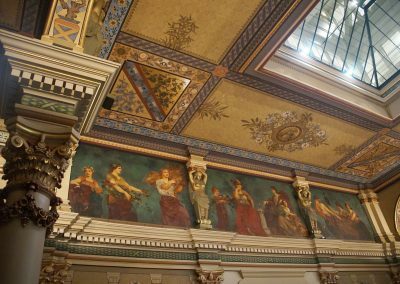 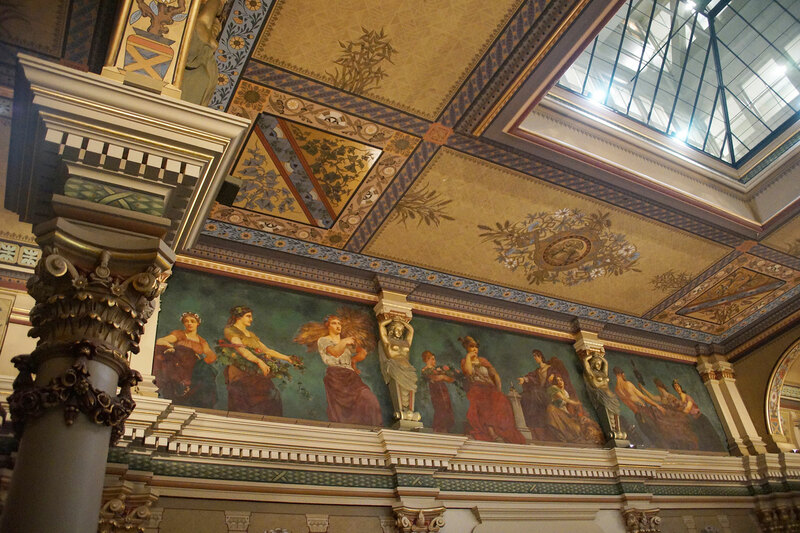 Incorporated in 1846, the City of Milwaukee turned 172 on January 25, with a birthday celebration held for the municipality at Bartolotta’s Grain Exchange. 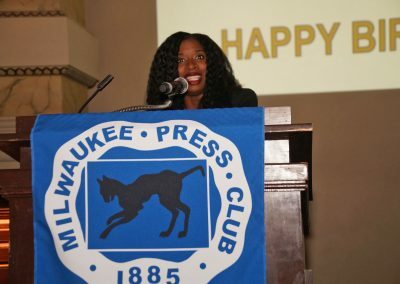 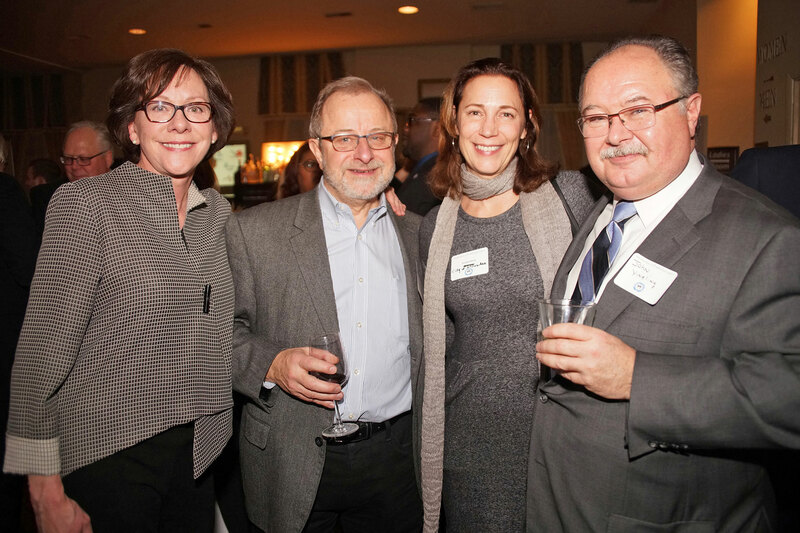 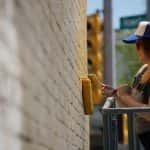 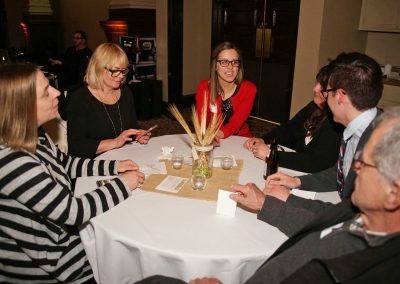 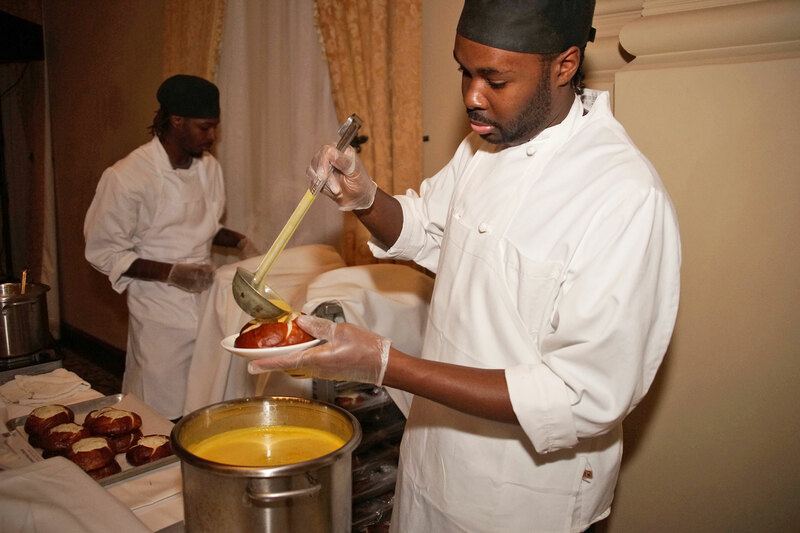 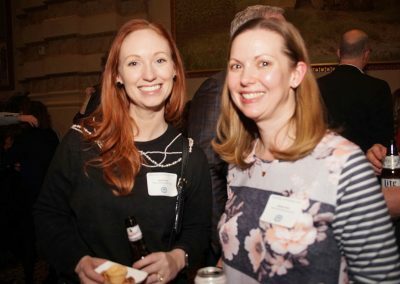 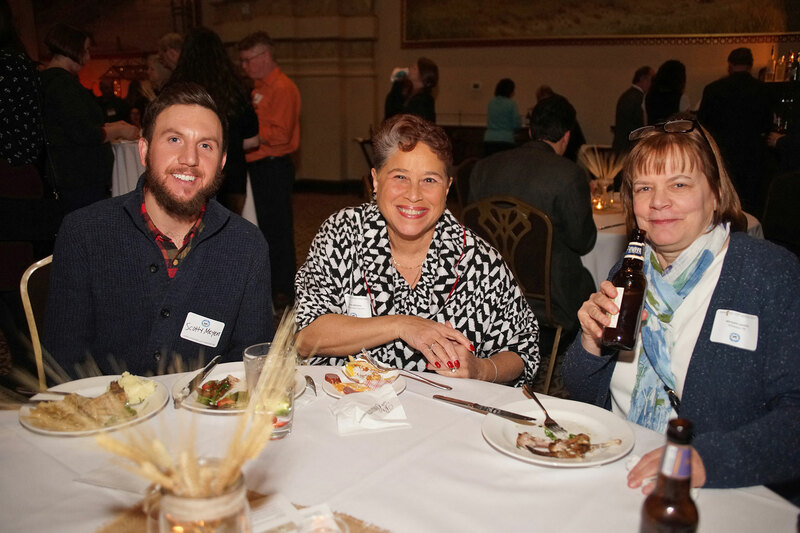 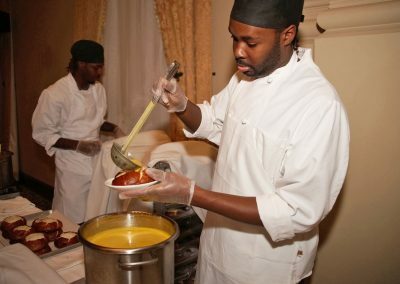 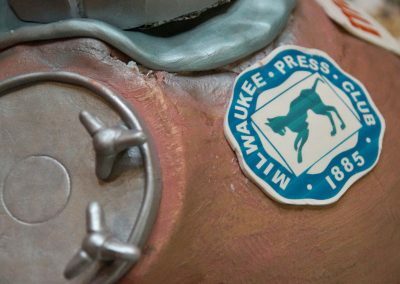 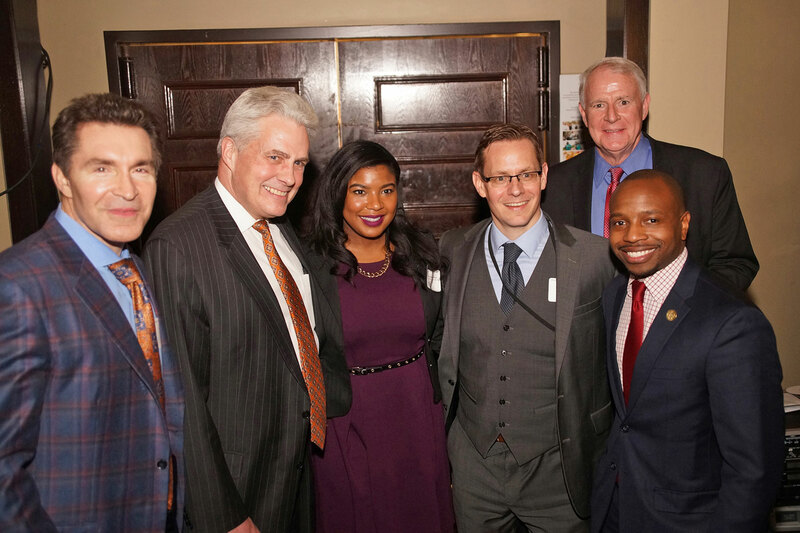 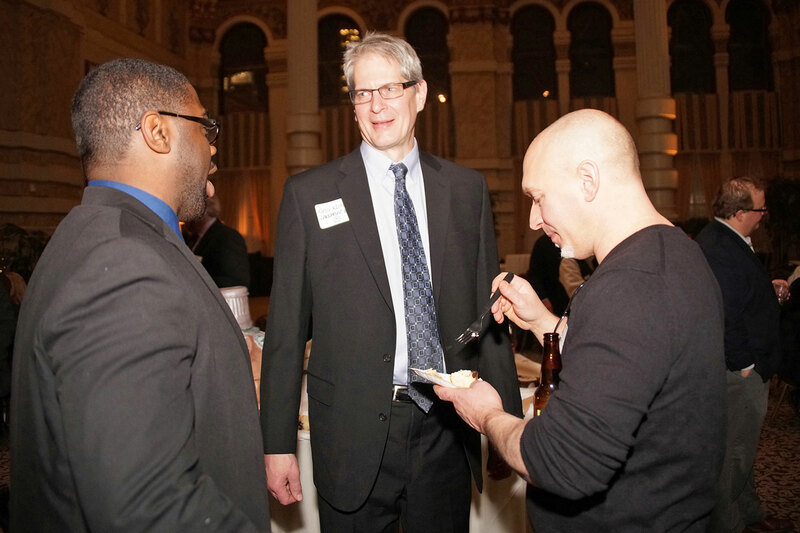 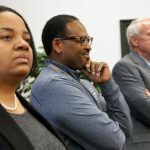 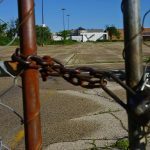 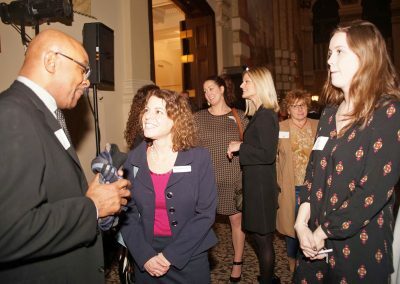 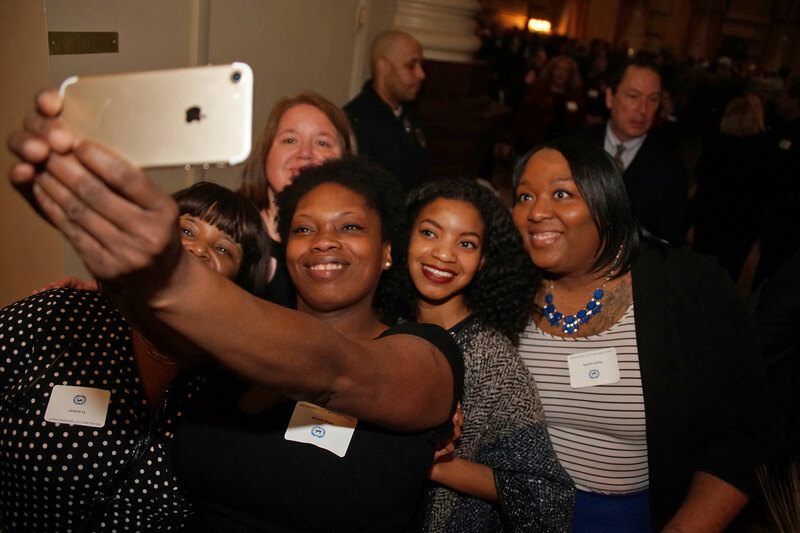 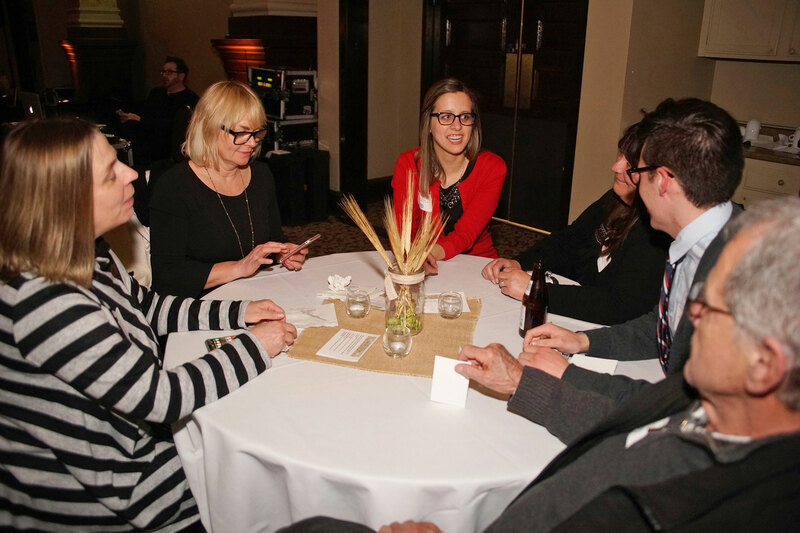 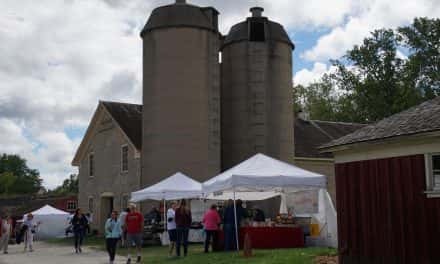 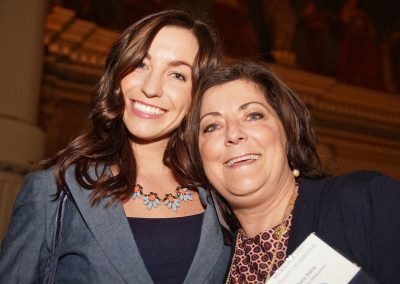 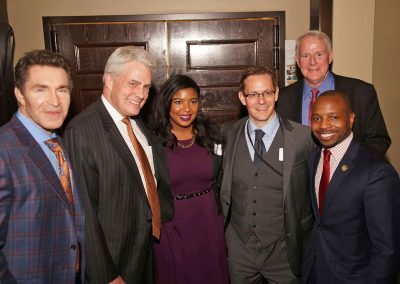 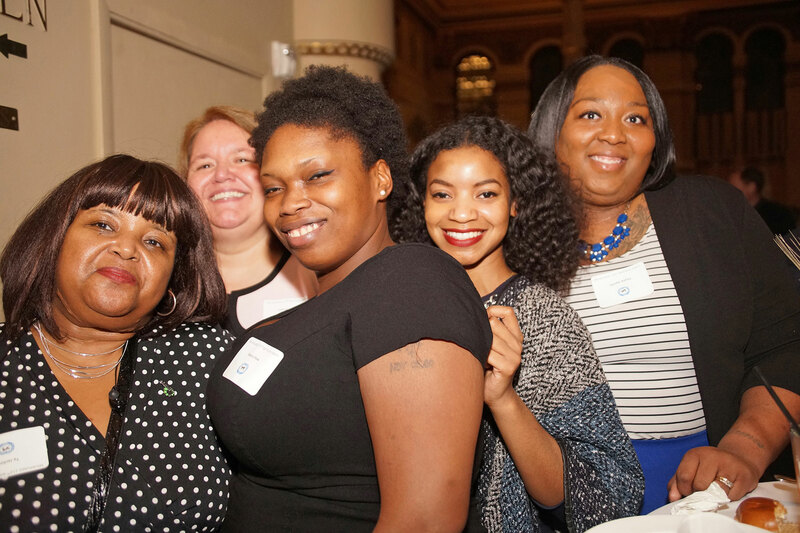 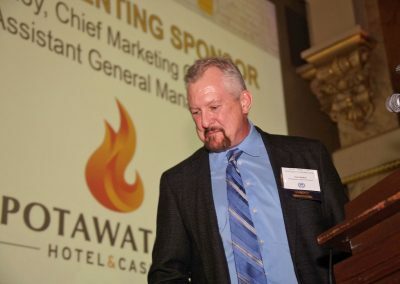 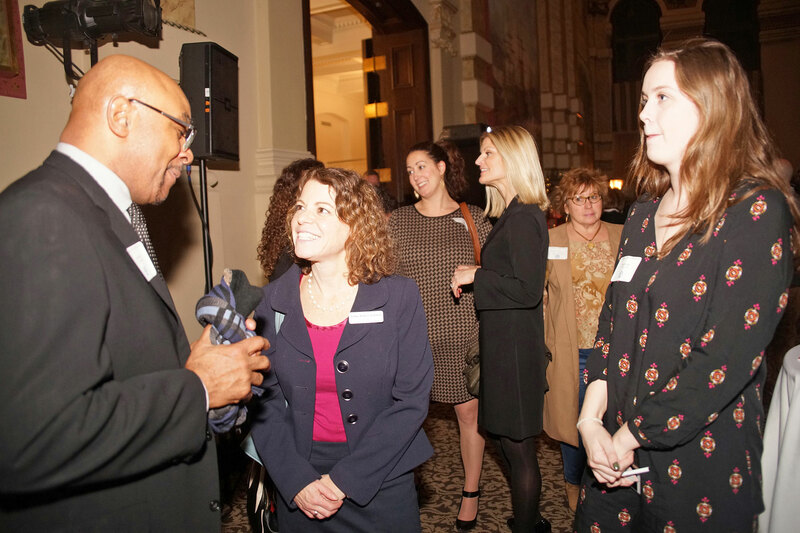 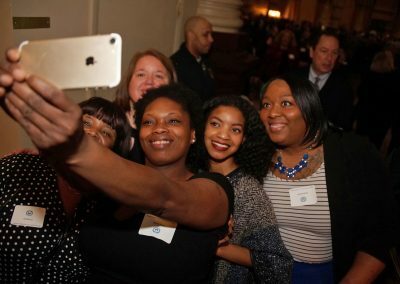 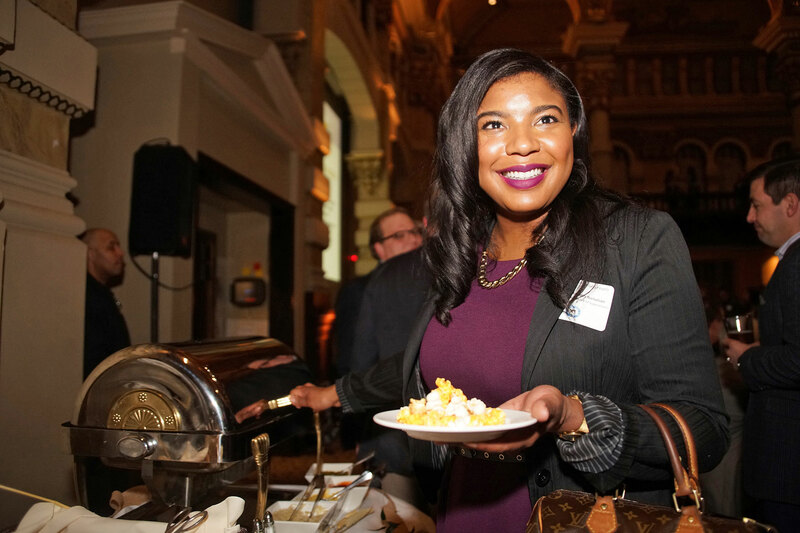 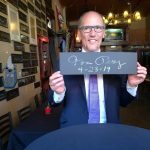 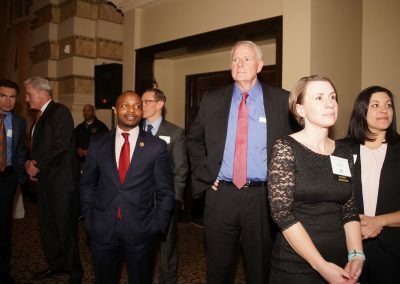 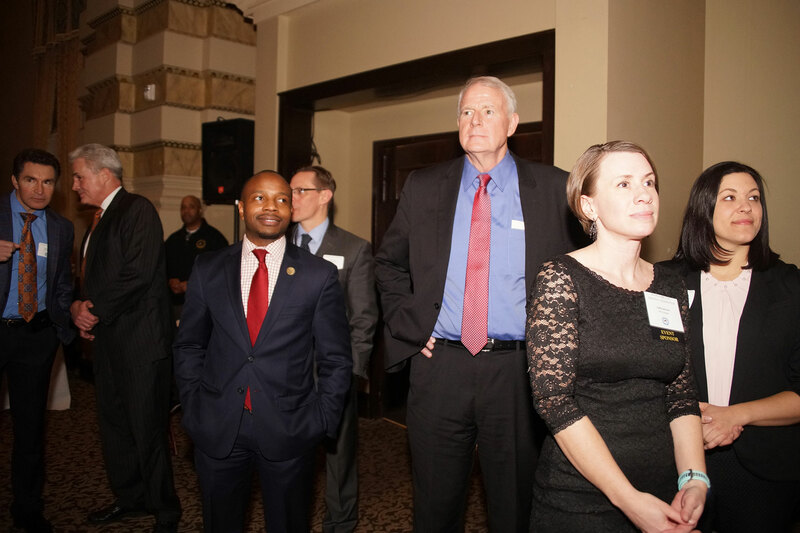 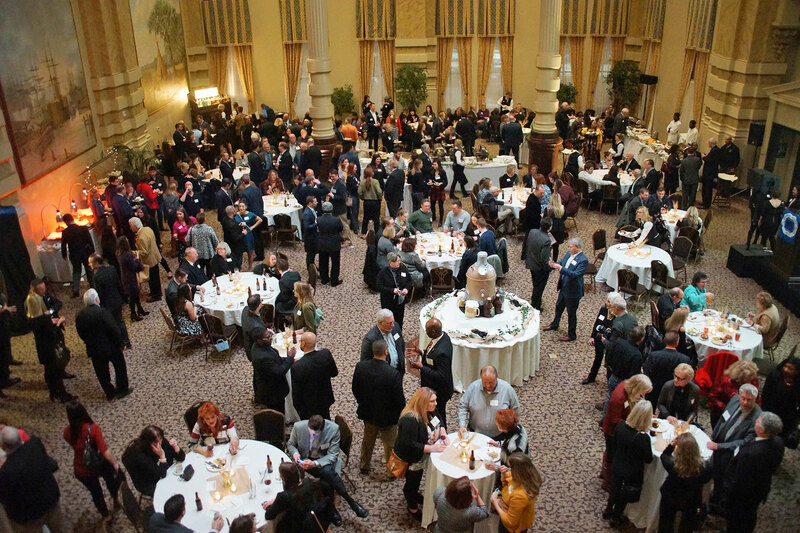 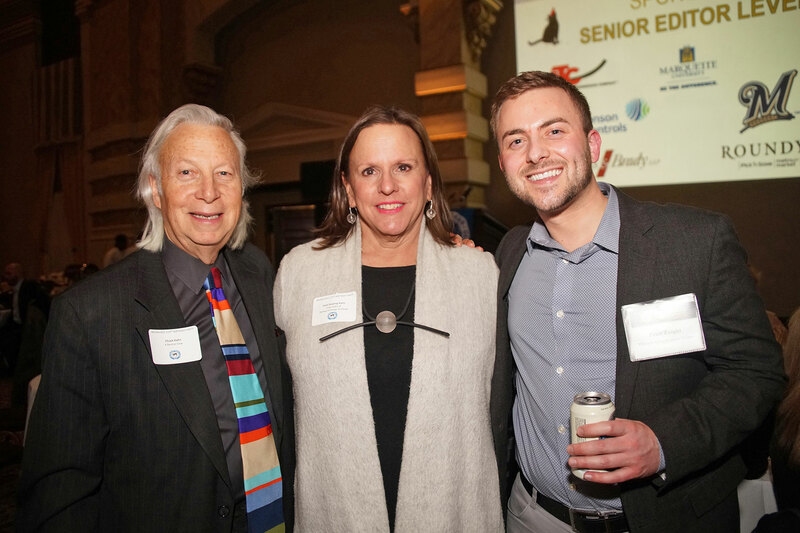 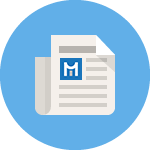 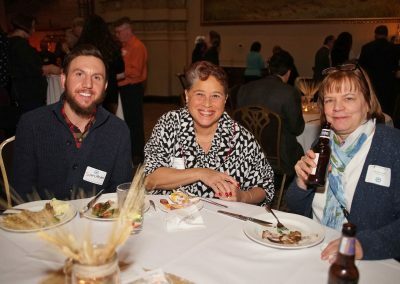 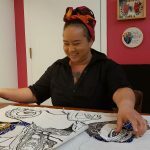 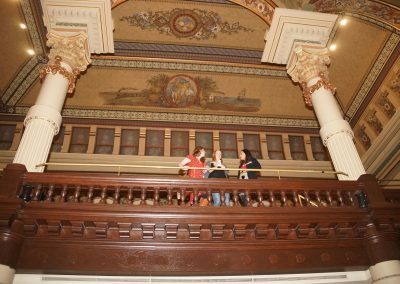 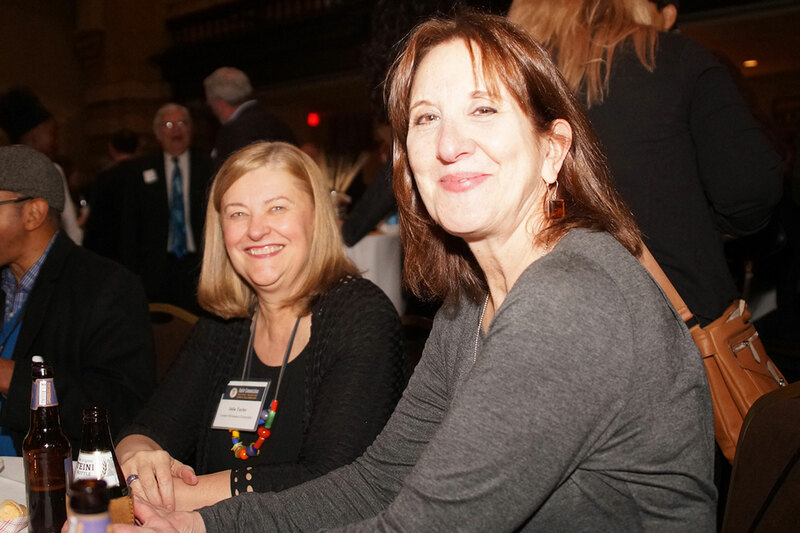 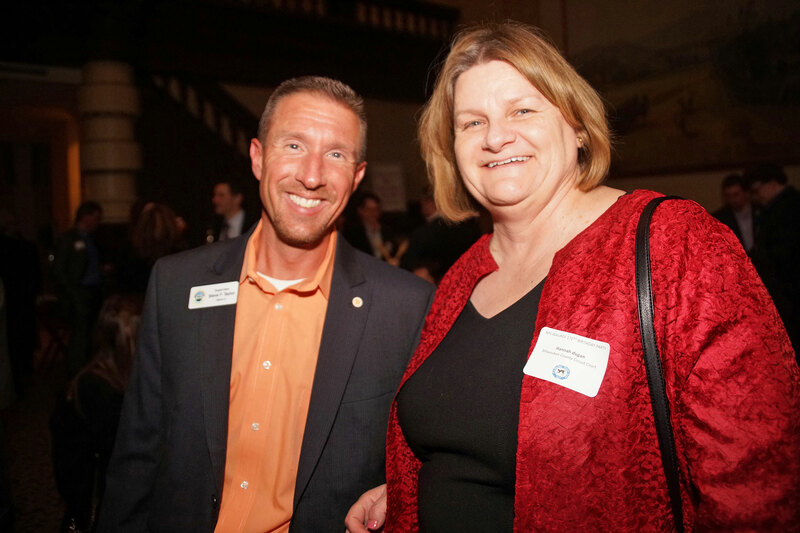 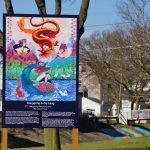 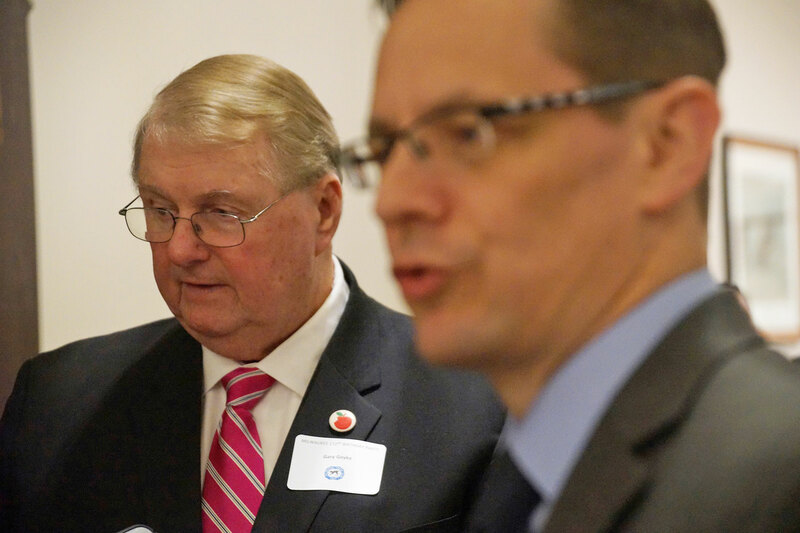 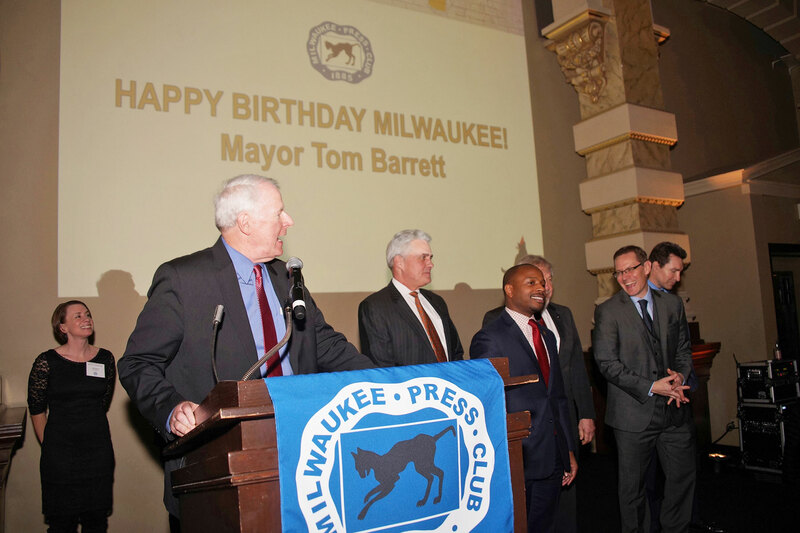 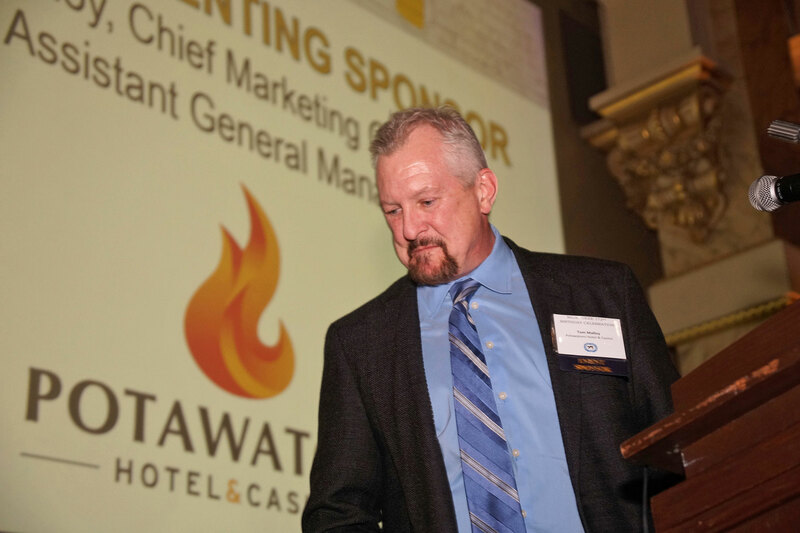 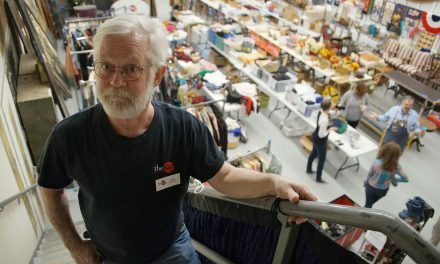 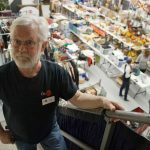 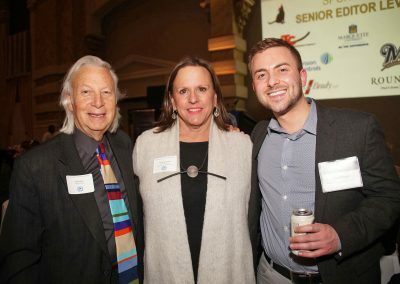 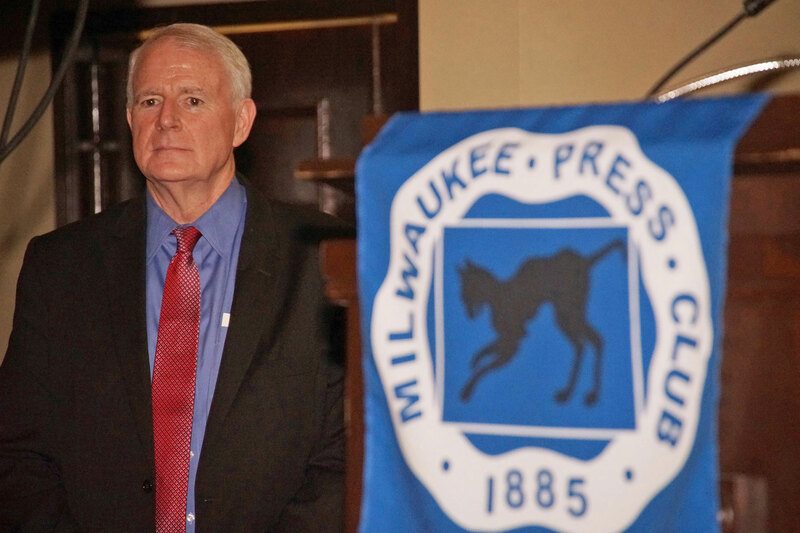 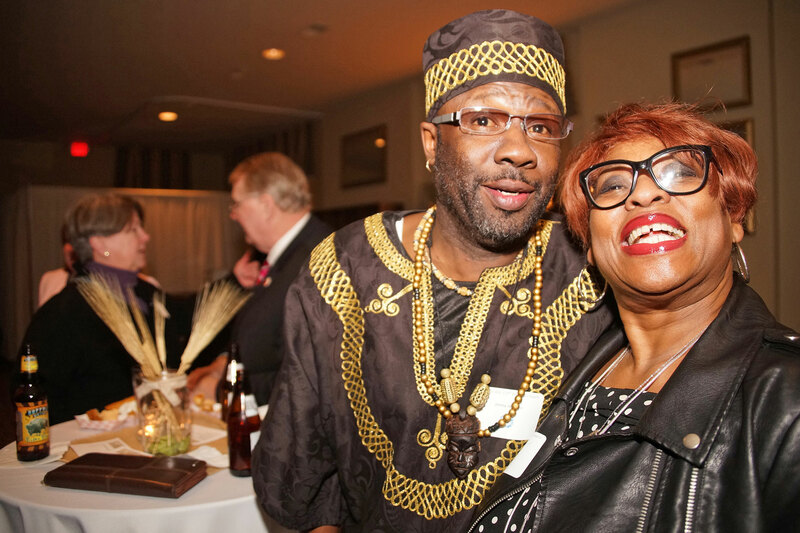 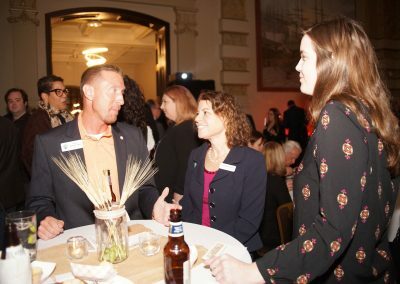 The Milwaukee Press Club, the oldest continuously operating press club in North America, has hosted the annual birthday party for the City of Milwaukee. 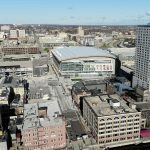 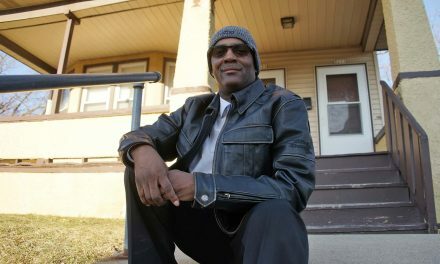 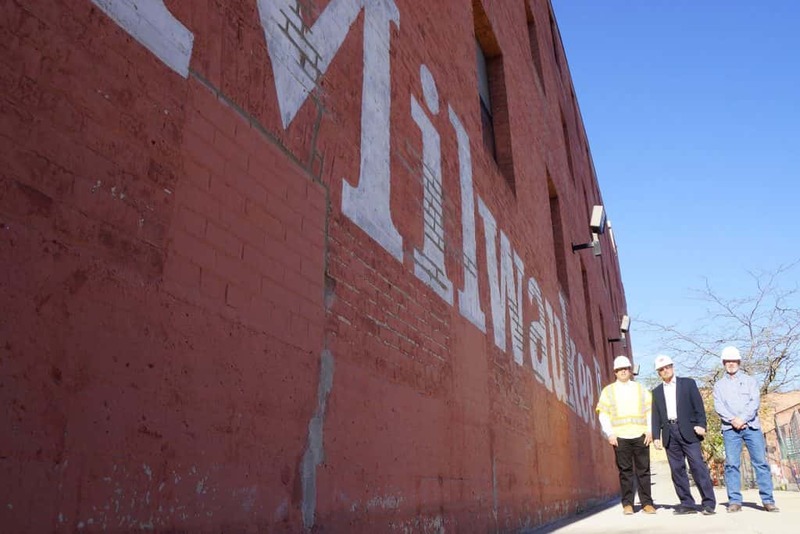 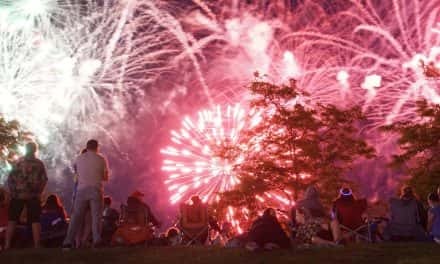 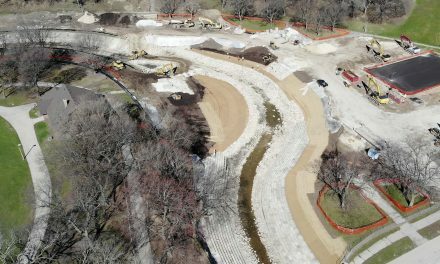 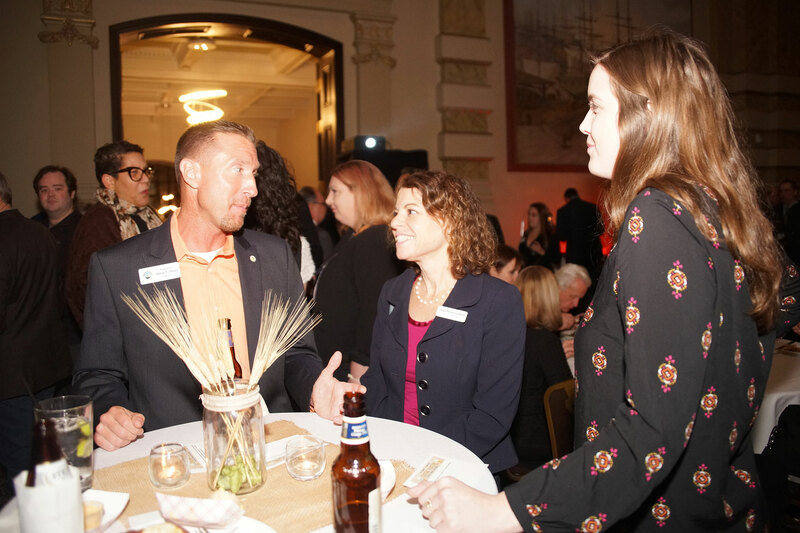 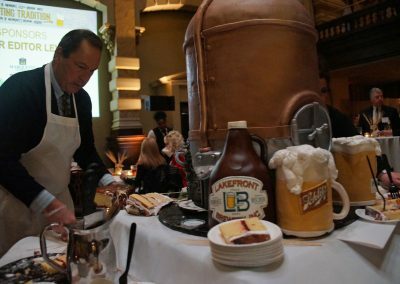 It is an event that brings together business and community members to celebrate another year of Milwaukee history. 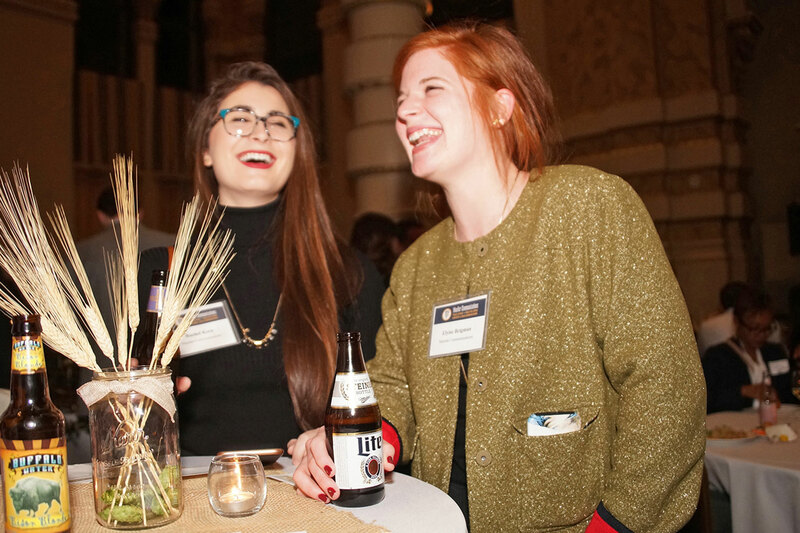 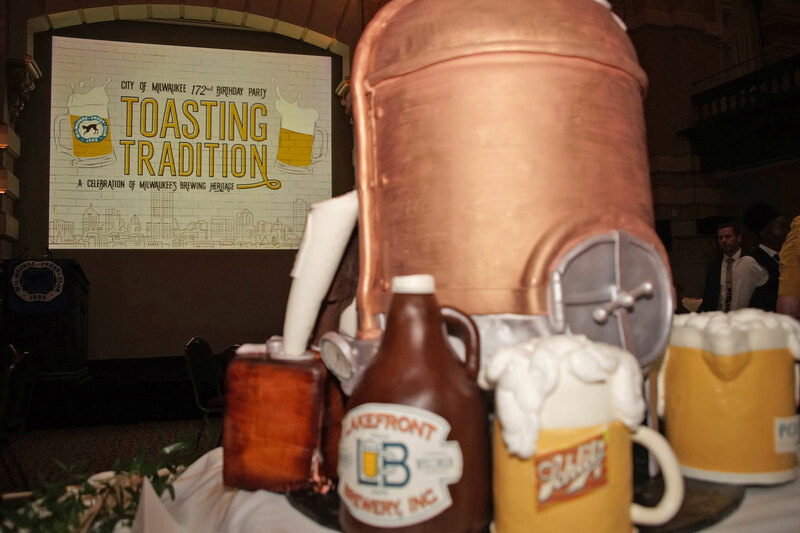 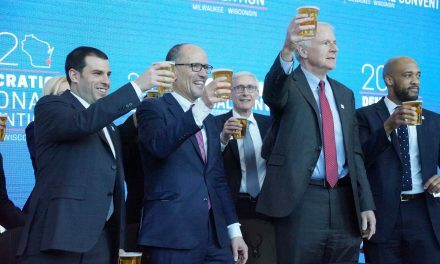 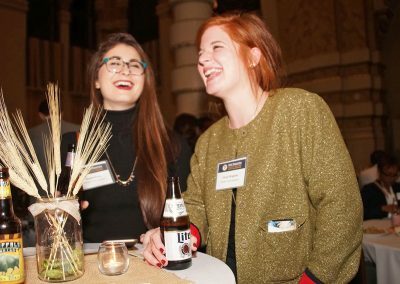 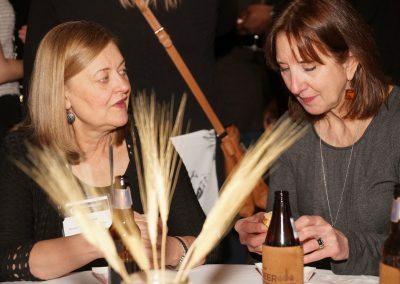 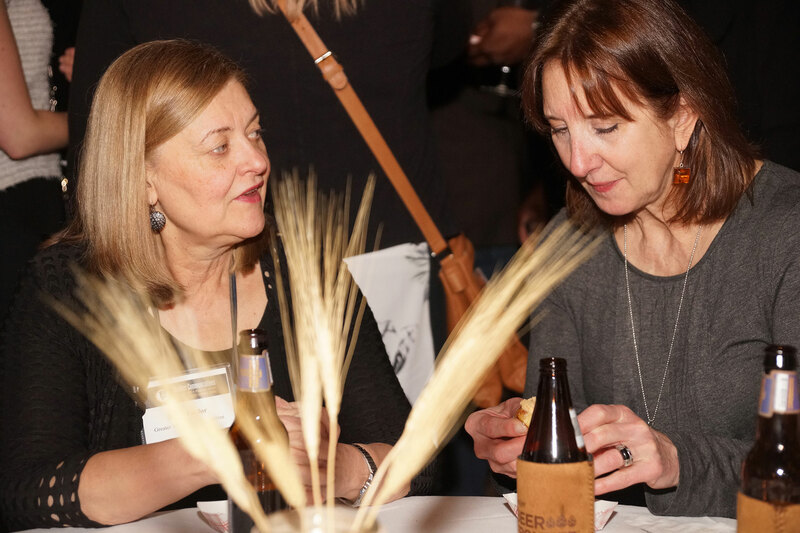 For 2018, the event theme was “Toasting Tradition: A Celebration of Milwaukee’s Brewing Heritage,” and it recognized 172 years of brewing with a contest to award Milwaukee’s beer enthusiasts. 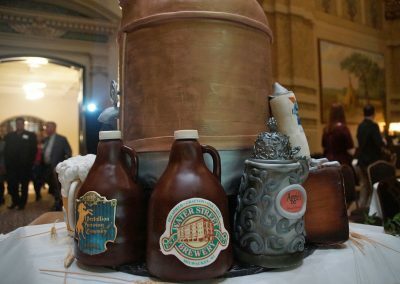 The city’s heritage has always been steeped in beer, and why it is still affectionately referred to as the Brew City. From Pabst to Miller to Blatz, the big breweries paved the way for today’s micro-brew craze. 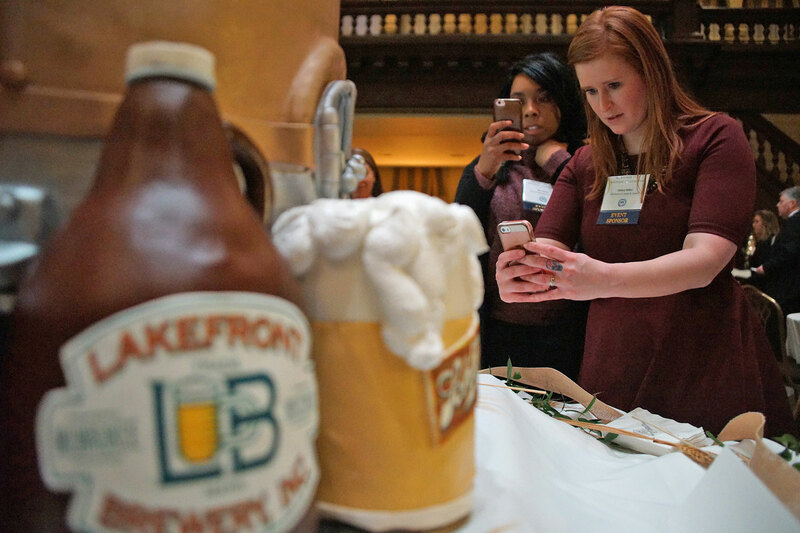 Dozens of craft breweries have popped up around town to satisfy the area’s thirst for first-class suds. 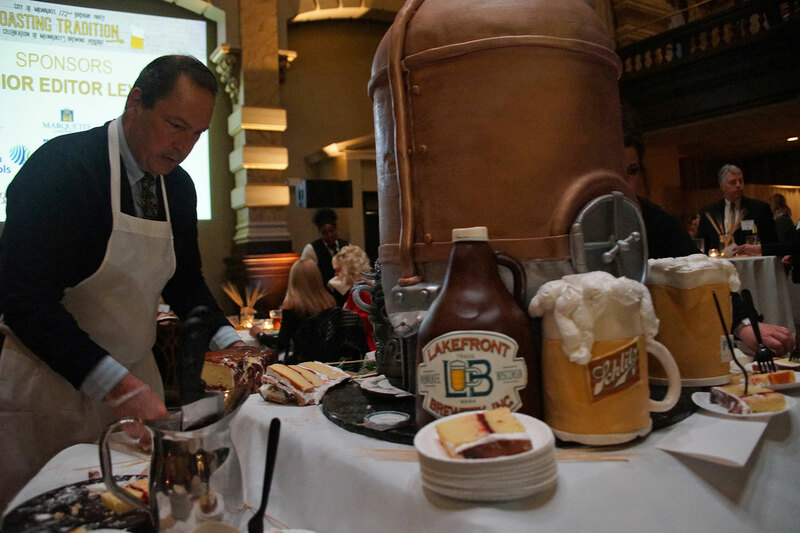 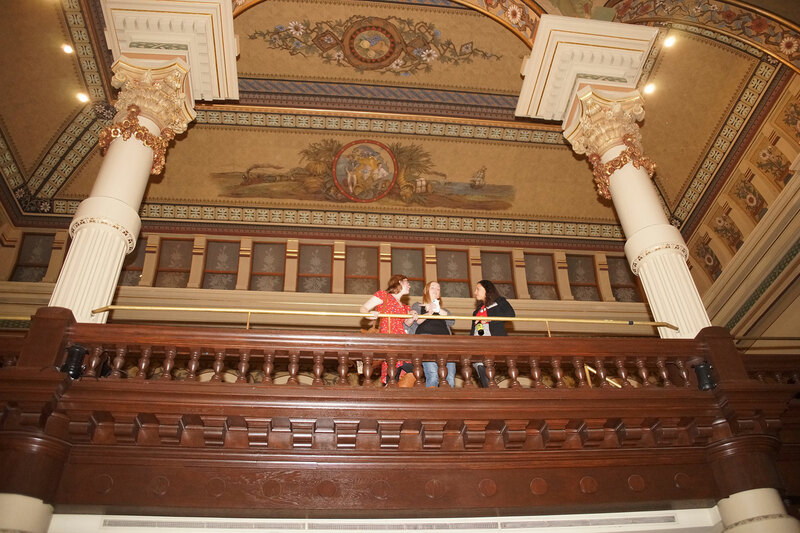 More than 400 guests came together to raise a glass to Milwaukee and to this year’s contest winners. 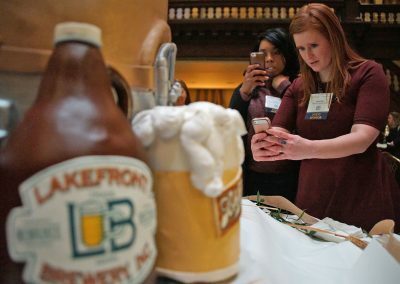 The contest contained trivia questions from more than 30 breweries in Milwaukee. 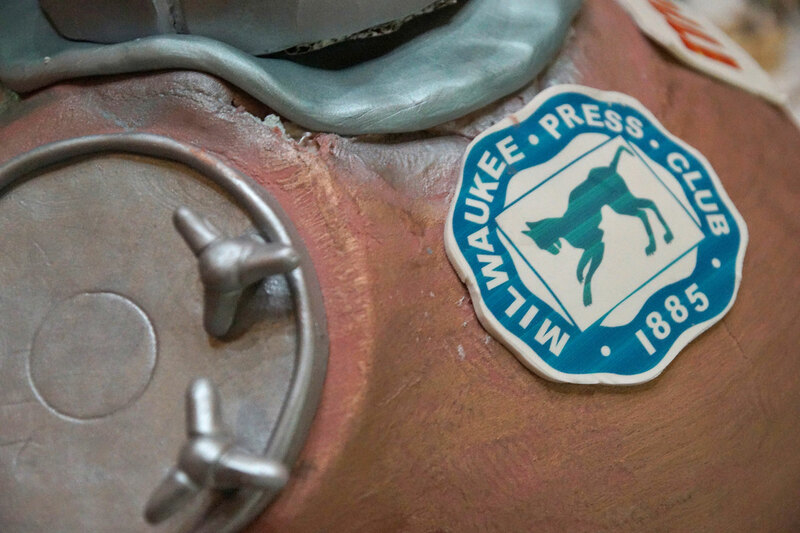 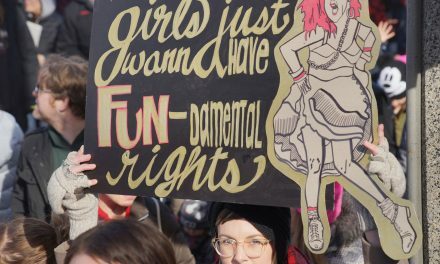 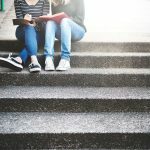 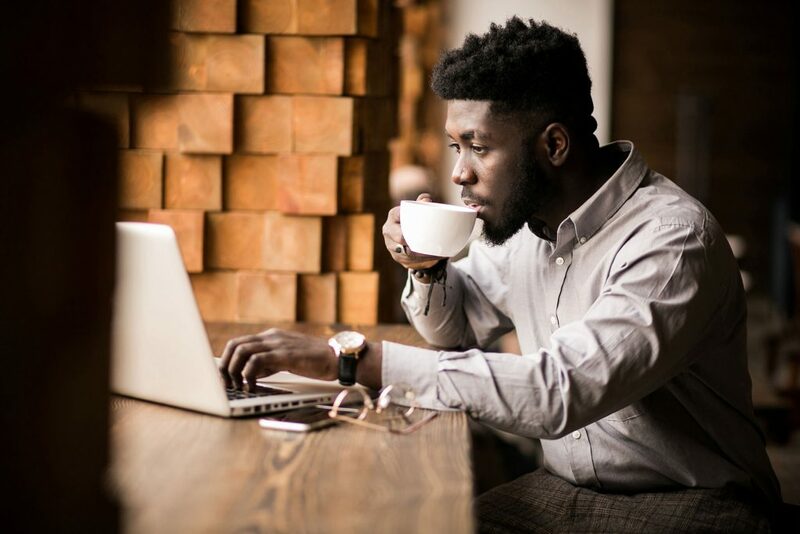 Each question could be answered by researching online or visiting a Milwaukee brewery. 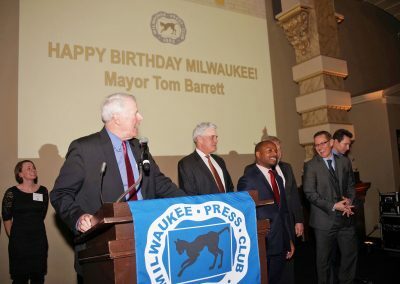 These images present a few highlights from the evening as Milwaukee approaches its Demisemiseptcentennial, literally one-half (demi-) x one-half (semi-) x seven (sept-) x 100 years (centennial), or 175th birthday in 2021.